Everest High Passes Trek is an awesome adventure in the Himalayas of Nepal. 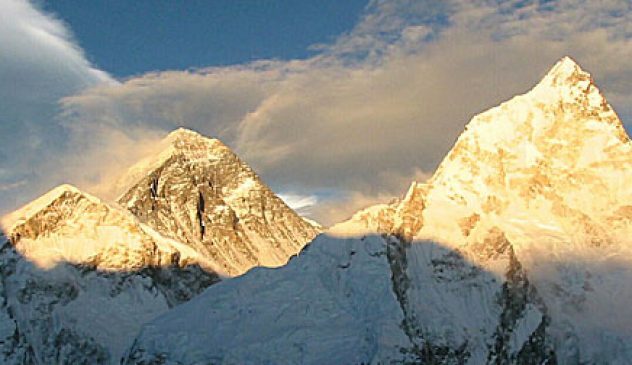 This trek includes trekking on popular Everest trails as well as discovering unique gems of the Khumbu region. On our trekking, we cross the three high passes in the Everest region; Kongma La Pass (5,535/18,159ft), Cho La Pass (5420m/17,782ft) and Renjo La Pass (5,340m/17,520ft). Then we set foot on the Everest base camp, climb Kala Patthar and Gokyo Ri; and tour around Gokyo Lakes. 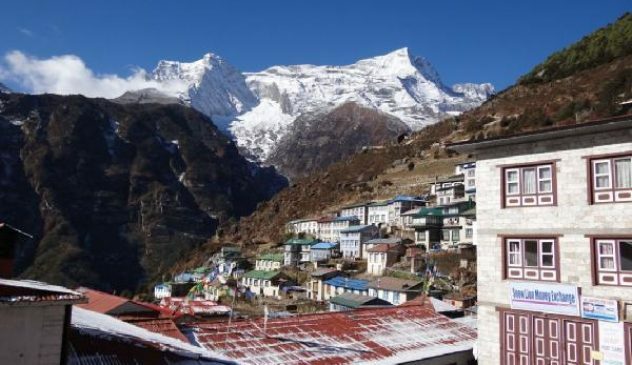 This route also brings the trekkers to the remote and untouched Nangpa La Valley, which is the Sherpa village of Marlung and the monastery village of Thame. Everest High Passes Trek is also an ideal choice for a true adventure seeker travellers looking for a challenging trek in the Everest region of Nepal which also involves crossing high mountain passes. If you are looking to undertake a slightly less adventurous trek than this trek but includes Gokyo lakes, Kala Patthar and Everest Base Camp; then Everest Base Camp Trek via Gokyo Lakes would be the best. After our arrival at the Tribhuvan International Airport (TIA) in Kathmandu, a Himalayan Glacier staff will pick us up from the airport and take us to our hotel. We can take rest and later visit the company office in Thamel, a popular tourist hub. However, there will be a welcome dinner in the evening where we get to experience excellent Nepalese cuisine. After breakfast, we begin our tour of four amazing UNESCO World Heritage Sites. These include the architecturally rich Durbar Square, the sacred Hindu temple of Pashupati Nath, the interesting ‘Monkey Temple’ (Swayambunath) and Bauddha Nath Stupa which is one of the largest stupas in the world. After completing our tour late in the afternoon, we drive to Himalayan Glacier’s office for a brief meeting about our trek and get to know our team leader (guide) and fellow travellers. All treks to Everest begin from Luka where we will be flying too early in the morning, right after breakfast. The flight will be an interesting one since we will be flying amidst the grand Himalayas in a Twin Otter aeroplane. We begin our short trek to Phakding immediately after landing. At one hour’s gradual descent, we will be at a Cheplung village from where we have a glimpse of Mt. Khumbila (18900ft), a sacred mountain which has never been climbed. From Cheplung, we continue descending to Phakding and spend the night. Dingboche is a popular stop for trekkers and climbers headed to Mt. Everest, Ama Dablam or Imja Tse. The village is beautiful with an array of fields enclosed by stone walls to protect barley, buckwheat and potatoes from the cold wind and grazing animals. We spend a day at Dingboche for acclimatization. We take a day hike to Nagarjuna Hill for great views of Makalu, Lhotse, Chalotse, Tawache, Ama Dablam and others. Note: Trekking through Kongma La is optional. If we do not want to tackle the strenuous Kongma La pass today and want to go directly to Lobuche from Chhukung, we can do that too. From Lobuche, we trek downhill on a trail alongside the Khumbu Glacier. Our trail splits into two and we choose the trail on our right. On the way, we can better admire the view of the looming Awi Peak. We pass through a stupa and tombstones in the distance. After walking for a while we begin to ascend. 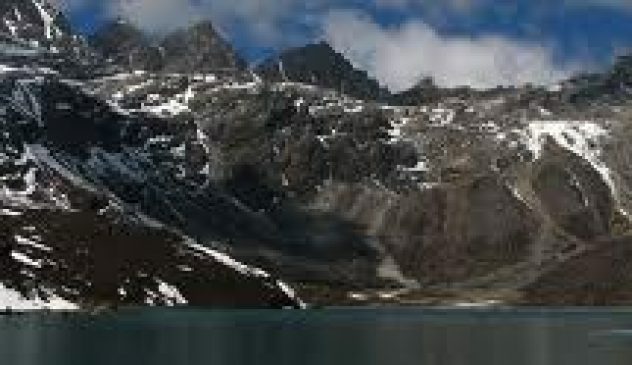 During the ascent, we see Chola Tsho Lake nearby. We continue further and pass another lake which is lot smaller than the Chola Tsho Lake. We cross the Chola Khola on a bridge before reaching Dzongla. Overnight in Dzongla. As we gain height, the Cho La Lake begins to appear and the Ama Dablam presides over a range of mountains on the south and Cholatse soars on the west. Climbing the incline is not easy; it is steep, but made worse by boulders over some of which we will have to scramble. The final climb to the Cho La can be a little tricky as the trail curves around a crevasse. The top of the pass is marked by prayer flags and Cairns. The scenery of majestic peaks on all directions is breathtaking. Although long, the path leading down to Thangnak is not difficult. Our trail brings us to the edge of the Ngozumpa glacier, which is the longest glacier in Nepal. Reaching the other side of the glacier, we see the second Gokyo Lake on the series of six lakes. A short distance away is the third Gokyo Lake. On the edge of this lake stands the Gokyo Village where we spend the night. We start the day early in the morning to complete the long day’s trek ahead. Our trail moves alongside Dudh Pokhari (lake) for a while. We walk for around two hours before descending towards the Renjo La pass. On the way, we are rewarded with extravagant views of the Himalayan and Rolwaling ranges and others. Views from the Renjo La pass are much like that from Gokyo Ri with the third Gokyo Lake and Gokyo Village beneath the grey smear of the Ngozumpa Glacier. We also get outstanding views of Mt. Everest from the top of the pass. Continuing on from the past, our trail winds down a stone staircase and then moves over loose scree to reach the south bank of Angladumba Tsho Lake. The presence of ice on the trail while descending down can make our descent a bit hazardous. Along the way, we see Relama Tsho and Renjo Lake. We walk down a narrow valley clogged with giant boulders to Lumde where there is a support lodge, but it is often closed. We walk almost for an hour from Lumde to get to Marlung on the east bank of the Bhote Koshi River. Overnight at Marlung. We begin our trek with a descent. As we continue our trek, we cross several bridges over the fast flowing Dudh Koshi River and its tributaries. Now the trail has become more level and natural. On our trek, we enjoy walking on open plains, through rhododendron and pine forests and enjoy distant views of the snow covered peaks. We walk through Sherpa villages noticing their impressive faith in Buddhism and the culture of prayer stones and prayer flags. After reaching Lukla, we stretch those sore legs and recall the experiences of the last couple of weeks. Our long trek to the mountain and its high passes ends today. Overnight in Lukla. The flights to Kathmandu are usually scheduled for the morning for safety purposes. After reaching the capital city, we have the rest of the day off to past the time as we please. We could take a rest in our hotel room or shop for souvenirs for our loved ones. In the evening, there will be a farewell dinner to celebrate the successful completion of your journey to the mountains. Overnight in Kathmandu. 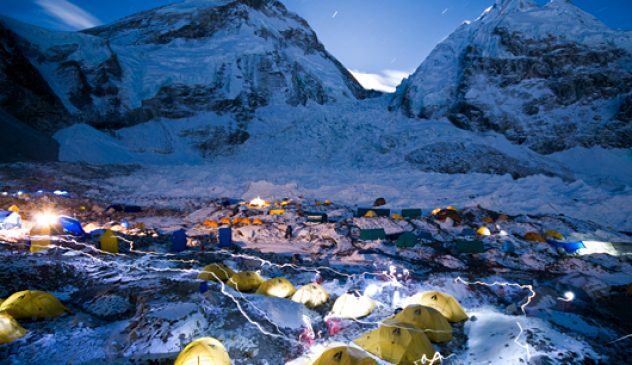 Our amazing journey in the Everest region including that to the base camp of Mt. Everest and crossing high passes comes to an end today. A company representative will pick you up from your hotel and drop you off at the airport 3 hours before our scheduled flight.